The following is an excerpt from ‘Starting Strength’ by Mark Rippetoe and Len Kilgore. It breaks down in detail, why the squat should always be performed to full depth (where injuries do not prevent it) and describes the stresses on or around the knee and hips. The full squat is the preferred lower body exercise for safety as well as athletic strength. The squat, when performed correctly, is not only the safest leg exercise for the knees, it produces a more stable knee than any other leg exercise. The important part of the last statement is the “when performed correctly” qualifier. Correctly is deep, with hips dropping below level with the top of the patella. Correctly is full range of motion. Any squat that is not deep is a partial squat, and partial squats stress the knee and the quadriceps without stressing the glutes, the adductors, and the hamstrings. The hamstrings, groin muscles, and glutes perform their function in the squat when the hips are stretched to the point of full flexion, where they get tight — the deep squat position. The hamstring muscles, attached to the tibia and to the ischial tuberosity of the pelvis, and the adductors, attached between the medial femur and various points on the medial pelvis, reach a full stretch at the very bottom of the squat, where the pelvis tilts forward with the torso, stretching the ends of the muscles apart. At this stretched position they provide a slight rebound out of the bottom, which will look like a “bounce,” and which you will learn more about later. The tension of the stretch pulls the tibia backwards, the posterior direction, balancing the forward-pulling force produced by the quadriceps, which pull from the front. The hamstrings finish their work, with help from the adductors and glutes, by straightening out, or “extending,” the hip. Muscular actions on the knee. The anterior force provided by the quadriceps is balanced by the posterior force provided by the hamstrings in the deep squat position. The depth is the key: partial (high) squats are predominately quadriceps/anterior and lack balance. In a partial squat, which fails to provide a full stretch for the hamstrings, most of the force against the tibia is upward and forward, from the quadriceps and their attachment to the front of the tibia below the knee. This produces an anterior shear, a forward-directed sliding force, on the knee, with the tibia being pulled forward from the patellar tendon and without a balancing pull from the opposing hamstrings. This shearing force — and the resulting unbalanced strain on the prepatellar area — may be the biggest problem with partial squats. Many spectacular doses of tendonitis have been produced this way, with “squats” getting the blame. The variation in squat depth often seen in the gym. A Quarter-squat, B Half-squat, C A position often confused with parallel, where the undersurface of the thigh is parallel to the ground. D A parallel squat according to the criteria established. The hamstrings benefit from their involvement in the full squat by getting strong in direct proportion to their anatomically proper share of the work in the movement, as determined by the mechanics of the movement itself. This fact is often overlooked when considering anterior cruciate tears and their relationship to the conditioning program. The ACL stabilizes the knee: it prevents the tibia from sliding forward relative to the femur. 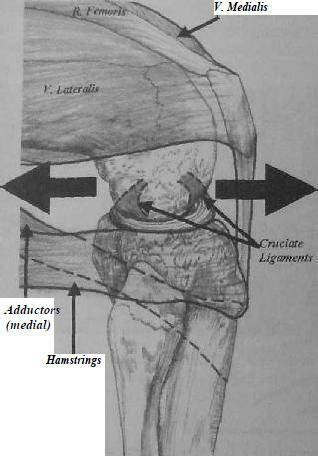 As we have already seen, so does the hamstring group of muscles. Underdeveloped, weak hamstrings thus play a role in ACL injuries, and full squats work the hamstrings while partial squats do not. In the same way the hamstrings protect the knee during a full squat, hamstrings that are stronger due to full squats can protect the ACL during the activities that we are squatting to condition for. 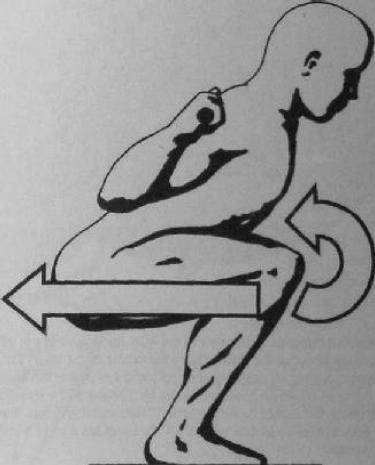 In fact, athletes who are missing an ACL can safely squat heavy weights, because the ACL is under no stress in a correctly performed full squat (fig below). Another problem with partial squats is the fact that very heavy loads may be moved, due to the short range of motion and the greater mechanical efficiency of the quarter squat position. This predisposes the trainee to back injuries as a result of the extreme spinal loading that results from putting a weight on his back that is possibly in excess of three times the weight that can be safely handled in a correct deep squat. A lot of football coaches are fond of partial squats, since it allows them to claim that their 17 year-old linemen are all squatting 600 lbs. Your interest is in getting strong (at least it should be), not in playing meaningless games with numbers. 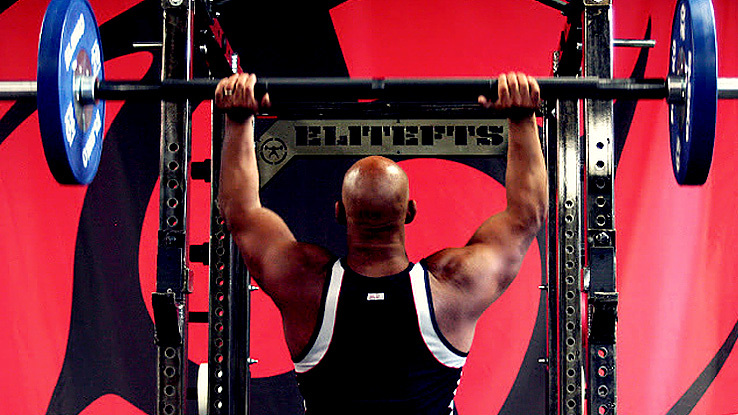 If it’s too heavy to squat below parallel, it’s too heavy to have on your back. Olympic weightlifters provide a perfect illustration of the safety and benefits of the full squat. As of the 2004 Olympics 167 of the 192 countries in the world compete in Olympic Weightlifting. More than 10,000 individuals compete annually in IWF (International Weightlifting Federation) events alone, and the number of participants in total from the 167 countries would be staggering, likely on the order of 2 to 5 million (China alone boasts over 1 million lifters). All over the world, weightlifters squat way below parallel safely, most often using some form of the exercise, either back squats or front squats, every day. That is correct: they squat way below parallel every training day, and most programs call for six days per week. Isn’t it fascinating that they are both strong and not under the care of an orthopedic surgeon? 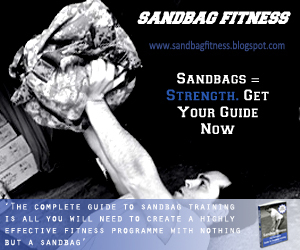 There is simply no other exercise, and certainly no machine, that produces the level of central nervous system activity, improved balance and coordination, skeletal loading and bone density enhancement, muscular stimulation and growth, connective tissue stress and strength, psychological demand and toughness, and overall systemic conditioning than the correctly performed full squat. In the absence of an injury that prevents their being performed at all, everyone that lifts weights should learn to squat, correctly. Forces on the knee in the squat. The hamstrings and adductors exert a posterior tension on the tibia, and the net effect of the anterior quadriceps tendon insertion is an anterior force against the tibial plateau. With sufficient depth, anterior and posterior forces on the knee are balanced. The anterior and posterior forces on the knee are balanced. The anterior and posterior cruciate ligaments stabilise anterior and posterior movement of the distal femur relative to the tibial plateau. In the correct squat, these ligaments have very little to do. Creatine monohydrate is a natural substance formed within the body from the amino acids methionine, glycine, and arginine. It’s stored as creatine phosphate (CP) or phosphocreatine. Creatine phosphate helps make a substance called adenosine triphosphate (ATP). ATP in turn provides the energy for muscle contractions. The average person’s body contains around 120 grams of creatine. Aside from supplementation, foods such as beef and some types of fish, are fairly high in creatine, but a person would have consume huge amounts on a daily basis to equal what can be found in just one teaspoon of powdered creatine as a supplement. stored adenosine triphosphate (ATP) is the dominant energy source. It is also the immediate source of energy for muscle contractions. Muscle fibers only contain enough ATP to power a few twitches, then additional ATP must be taken in from the bodys stores. Creatine monohydrate is converted into creatine phosphate in the body to keep the ATP pool filled. What does this mean in the real world? An increased pool of CP means faster and greater recharging of ATP and, therefore, more work can be performed for a short duration. such as weight training, sprinting, etc. Early research with creatine showed it can increase lean body mass and improve performance in sports that require high intensity intermittent exercise such as sprinting, weight lifting, football, etc. Creatine has had spotty results in research that examined its effects on endurance oriented sports such as swimming, rowing and long distance running, with some studies showing no positive effects on performance with endurance athletes. Whether or not the failure of creatine to improve performance with endurance athletes was due to the nature of the sport or the design of the studies is still being debated. But one thing is for sure; the research is stronger in high intensity sports of short duration. Recent findings with creatine monohydrate have confirmed previous research showing it’s a safe and effective supplement. More recent research has focused on exactly how it works, and has looked deeper into its potential medical uses. may be useful for treating wasting syndromes such as HIV. Creatine is also being looked at as a supplement that may help with diseases affecting the neuromuscular system, such as muscular dystrophy (MS) and others. A plethora of recent studies suggest creatine may have therapeutic applications in aging populations, muscle atrophy, fatigue, gyrate atrophy, Parkinson’s disease, Huntington’s disease, and other mitochondrial cytopathies, neuropathic disorders, dystrophies, myopathies and brain pathologies. The importance of creatine is underscored by creatine deficiency disorders: inborn errors of metabolism that prevent creatine from being manufactured. 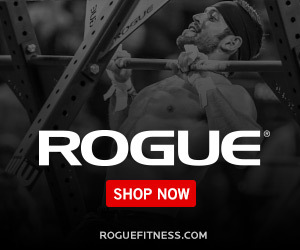 People born without the enzyme(s) responsible for making creatine suffer from a variety of neurological and developmental symptoms which are mitigated with creatine supplementation. As for safety, some have suggested that creatine might increase the need for extra fluid intake to avoid potential dehydration and muscle pulls. Still, creatine has not been shown to increase either dehydration or muscle pulls in the research. In some people, creatine may increase a by-product of creatine metabolism called creatinine, which is a crude indicator but not a cause of kidney problems. Some doctors have mistakenly thought that high creatinine levels (in athletes using creatine) are a sign of kidney problems, but that is not the case. Creatinine is not toxic to the kidneys and most doctors are not aware that creatine may raise creatinine levels with no toxicity to the kidneys. People with pre-existing kidney problems might want to avoid creatine due to the effects it can have on this test, though creatine supplementation has never been shown to be toxic to the kidneys and the vast number, of studies to date have found creatine to be exceedingly safe. 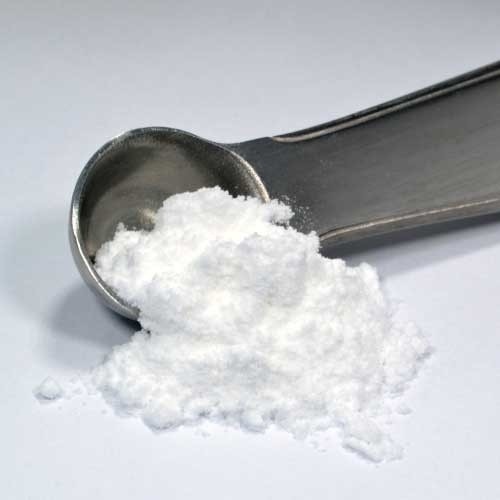 It’s interesting to note that there has been a concerted effort by many groups and ignorant medical professionals to portray creatine as being somehow poorly researched (flatly untrue) and unsafe for long term use. They systematically ignore the dozens of studies that exist showing it’s both safe and effective. Even more bizarre, they ignore the recent studies that are finding creatine may help literally thousands of people with the aforementioned diseases. This is unscientific, unethical, and just plain immoral, in my view. One question that often comes up regarding creatine is whether or not the loading phase is required. Originally, the advice for getting optimal results was to load up on creatine followed by a maintenance dose thereafter. This advice was based on the fact that the human body already contains approximately 120 grams of creatine (as creatine and creatine phosphate) stored in tissues and to increase total creatine stores, one had to load for several days in order to increase those stores above those levels. The idea also seemed to work well, in practice, with people noticing considerable increases in strength and weight during the loading phase. All was not perfect however as many people found the loading phase to be a problem, with gastrointestinal upset, diarrhea and other problems. At the very least, loading was inconvenient and potentially expensive. The need for a loading phase was a long held belief, but is it really needed to derive the benefits of creatine? The answer appears to be no, as both research and real world experience have found the loading phase may not be needed after all. A 1996 study compared a loading phase vs. no loading phase among 31 male subjects. levels (whereas the placebo group showed no significant changes). appears you can rest assured you don’t have to go through all that hassle. Brewer GJ and Wallimann TW. Protective effect of the energy precursor creatine against toxicity of glutamate and beta-amyloid in rat hippocampal neurons. J Neurochem. 2000 May;74(5):1968-78. Earnest CP, Almada AL, and Mitchell TL. High-performance capillary electrophoresis-pure Creatine monohydrate reduces blood lipids in men and women. Clin Sci (Lond). 1996 Jul;91(1):113-8. Ferrante RJ, Andreassen OA, Jenkins BG, et al. Neuroprotective effects of creatine in a transgenic mouse model of Huntington’s disease. J Neurosci. 2000 Jun 15;20(12):4389-97. Hultman E, Soderlund K, Timmons JA, et al. Muscle creatine loading in men. J Appl Physiol. 1996 Jul;81(1):232-7. Klivenyi P, Ferrante RJ, Matthews RT, et al. Neuroprotective effects of creatine in a transgenic animal model of amyotrophic lateral sclerosis. Nat Med. 1999 Mar;5(3):347-50. Kreider RB, Ferreira M, Wilson M, et al. Effects of creatine supplementation on body composition, strength, and sprint performance. Med Sci Sports Exerc. 1998 Jan;30(1):73-82. Malcon C, Kaddurah-Daouk R, Beal MF. Neuroprotective effects of creatine administration against NMDA and malonate toxicity. Brain Res. 2000 Mar 31;860(1-2):195-8. Matthews RT, Yang L, Jenkins BG, et al. Neuroprotective effects of creatine and cyclocreatine in animal models of Huntington’s disease. J Neurosci. 1998 Jan 1;18(1):156-63. Matthews RT, Ferrante RJ, Klivenyi P, et al. Creatine and cyclocreatine attenuate MPTP neurotoxicity. Exp Neurol. 1999 May;157(1):142-9. Odland LM, MacDougall JD, Tarnopolsky MA, et al. Effect of oral creatine supplementation on muscle [PCr] and short-term maximum power output. Med Sci Sports Exerc. 1997 Feb;29(2):216-9. Pearson DR, Hamby DG, et al. Long-term eff ects of Creatine monohydrate on strength and power. J Strength Cond Res. 1999 13(3):187-92. Poortmans JR, Auquier H, Renaut V, et al. Eff ect of short-term creatine supplementation on renal responses in men. Eur J Appl Physiol Occup Physiol. 1997;76(6):566-7. Volek JS, Duncan ND, Mazzetti SA, et al. No Eff ect of Heavy Resistance Training and Creatine Supplementation on Blood Lipids. Int J Sport Nutr Exerc Metab. 2000 Jun;10(2):144-56. Walter MC, Lochmuller H, Reilich P, et al. Creatine monohydrate in muscular dystrophies: A double-blind, placebo-controlled clinical study. Neurology. 2000 May 9;54(9):1848-50. Aside from the obvious price differences, there are also several different types of Creatine in the form of creatine monohydrate, creatine citrate, creatine phosphate, tri-creatine malate, creatine-magnesium chelate and even liquid “ creatine serum”. The newest at the moment being Creatine Ethyl-Ester which is apparently the next best thing. The Problem here is that the overwhelming majority of research to date on the effects of creatine and muscle mass/performance used the monohydrate form and most creatine found in supplements and food is in the monohydrate form. That fact alone should do it, or the fact monohydrate is the cheapest and easiest to obtain supplement should persuade you away from the lesser tested variations. Many of these companies try to claim monohydrate is poorly absorbed or that it makes you bloat or hold water – However there is yet to be studies performed side-by-side to compare the differences and the research just simply hasn’t been performed to make these bogus claims. We basically have one of the most researched supplements known to man, shown to be safe, effective and cheap and yet for some reason people are still being drawn toward the new fancy unproven products. I’m not for a moment saying they are not effective, just that they are untested over time. Stick with what we know works! I’ve written a few posts now on Hyper Lordosis or Anterior Pelvic Tilt and it’s effects on lifting. The fact is, almost everyone has a degree of hyper-lordosis due to the fact we all use chairs far too often! From working to travelling to relaxing, it is all usually done in a seated position, this then in turn re-inforces the poor posture already lurking, causes tight lower back/hip flexors and weak or elongated abdominals/gluteals. 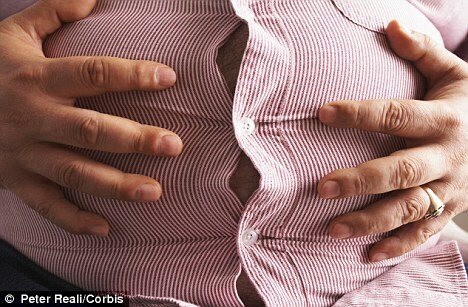 Upper back rounding – When crunches are performed the movement reinforces poor posture by causing you to round your upper back each rep so leading into Kyphosis or a Neanderthal type posture – Instead of keeping your shoulders back and down with good posture, you’re constantly rounding your upper back and pushing your chin forward. Too much flexion and extension of the spine. Alot of people do situps by arching the lower back, pulling their body up with the hip flexors, then rounding forward towards the top of each rep. Think about it – what happens when you keep bending something back and forward over time? SNAP! Due to the law of reciprocal inhibition (when a muscle on one side of a joint contracts, the other opposing muscle relaxes), your already inactive or weak glutes get weaker every rep because your hip flexors are strengthened with every rep! In other words – Sit-ups exagerate the problem you’re trying to address!! Real Abdominal or Core Strength is simply the ability to stabilise the spine especially when under load. This is the primary job of the abs after all! How often are we even required to perform a sit-up/crunch type movement? I can’t even think of an example after getting out of bed! But, I can certainly think of many an occassion where I am supporting a load – Carrying shopping, picking up the kids/pets, moving things around, picking things up, etc etc. If you’re already doing heavy deadlifts/squats/press’s then your core will already be getting plenty of stabilisation, if not, or you want to focus on it a little more you can’t go wrong with looking at the olympic weightlifters (especially the lightweight category). They are required to stabilise huge loads overhead and generally have the physique to match! Makes sense really, if you’re going to lift something heavy over your head then your abs are going to have to work overtime to keep your torso upright and stabilized. To work on stabilisation, you can’t beat a bridge/plank type movement (performed correctly! )the light-weight Olympic lifters do things like supporting weight on their stomachs while they’re laying over two chairs, making their abs a “bridge” for the weight and forcing their whole core to stabilize and work to keep their back straight. A bit of an extreme version for most, but it is the general ‘bridging’ principle we’re looking at – Try the RKC plank to start. Instead of doing hundreds of reps of easy situps and causing so many muscle imbalances, un-even weaknesses and strengths… if you’re going to do abdominal exercises to train your abs to contract your body in half… you should try harder ab exercises. Try and focus more on lower ab work. Most people have weaker lower abs compared to their upper abs. This is usually due to crunches and upper ab work like that. On top of that, posterioral problems and muscle imbalances are common from doing so many situps and from crunching your ribcage down towards your pelvis. You need to work your abs in a different plane of motion. They help Correct Lordosis by training you to tilt your pelvis posteriorly and up. Train your abs the way they were meant to be – As spinal stabilizers and with harder contraction exercises. 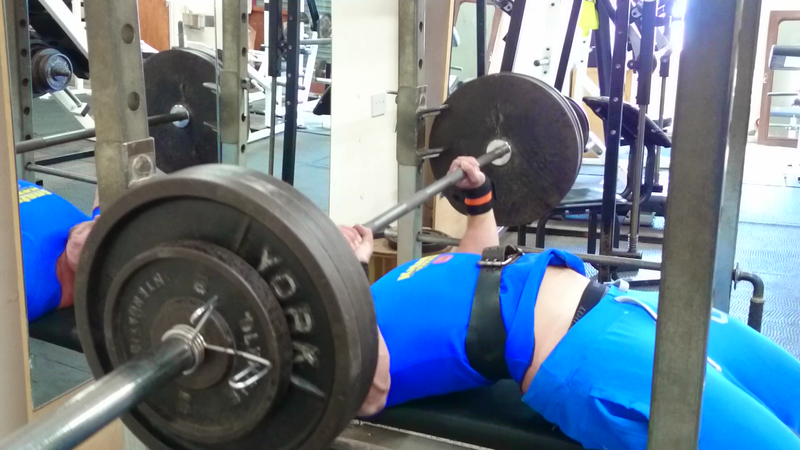 Dumbbell Vs Barbell Bench Press – Which is Better? A frequently asked question when it comes to chest training is ‘Are Dumbells better or worse than a Barbell?’ – There is no yes or no answer to this one, it is entirely dependant on your goals. As you can load a barbell gradually with minor increases in weight, they are the ideal tool for building strength. 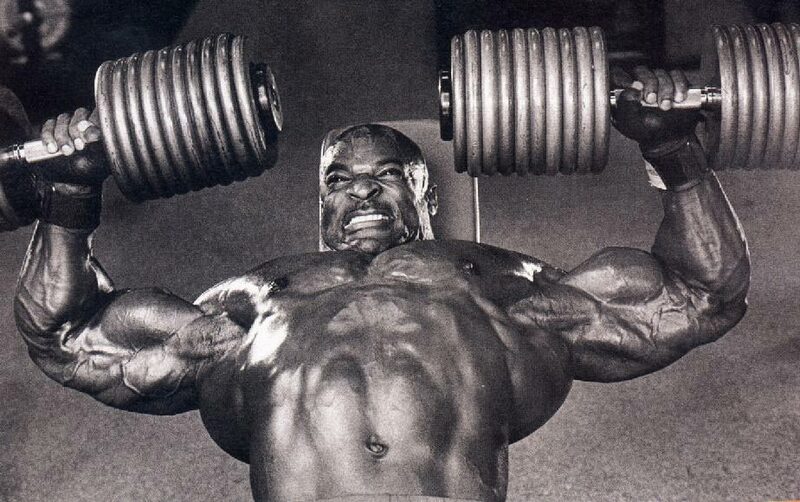 To get stronger you need to progressively lift more weight over a period of time. If you can’t, something is not right – You can perform all the drop-sets/supersets/giant sets/forced reps etc etc, but if the weight is not increasing, you will not get stronger – You will plateau much quicker with Dumbbells due to the large increase in weight percentage between them. Even a well stocked gym will have the weight increases around the 2.5kg mark. This is as increase of 5kg on your lift which is going to be a challenge for most and makes progressive loading nigh impossible. If your goal is pure strength you can load significantly more onto a barbell due to its balance and stability and so is the perfect tool in this situation. Muscular imbalance is another thing to address. Although you can try and be more aware of pushing equally or focusing on leading with the weaker side, with a Barbell imbalances can be masked. When using Dumbbells you will be much more aware of imbalances as one side will be unstable or will fatigue first, and will prevent your dominant side from growing faster than the other. Balanced body strength leads to greater performance and lowers the chance of injury. 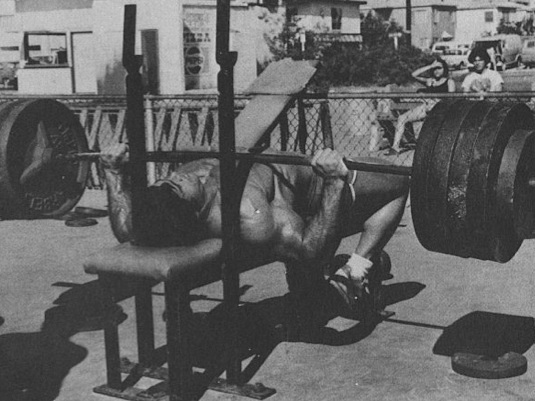 The Barbell bench press is also harder on your joints than dumbbells. When pressing with dumbbells, your hands won’t remain completely pronated (palms forward), but will rotate slightly inwards reducing the stress on your wrists elbows and shoulders (particularly rotator cuff) and therefore reducing your chance of injury. With regard to muscle recruitment, researchers noted that electrical activity or muscle stimulation in the arms was greatest in the triceps with a barbell, but when dumbbells are used the biceps also come into play as stabilisers. The Barbell activates more upper chest fibres and anterior deltoid due to the wide grip in the top position, however as your hands are free to move across your body with dumbbell presses there is greater lower pectoral activation. Although yes, you will use more stabilising muscles with the dumbbells, you will be limited by the weight increases as previously mentioned meaning you will plateau sooner. In my opinion the barbell is the better option as you can handle a lot more weight doing the same exercises. More weight moved = bigger muscles. This doesn’t mean you shouldn’t use dumbbells, you should try and use both – Just keep the main focus on increasing the weight on the bar and use dumbbell sets to ensure you work the entire chest area, prevent imbalances and keep your joints healthy. Barbell – Heavier weight handled, better mass gain, easier for beginners, greater progression (stall less often). Dumbbell – Better for balance and stabilisation, no need for spotter, less stress on joints, slightly increased range of motion.